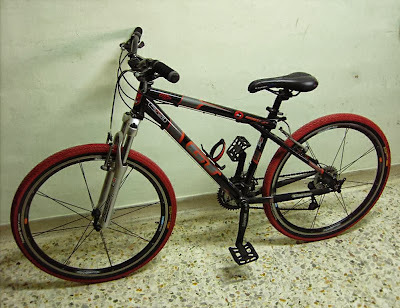 Back in 2002, I had a GT mountain bike and used to cycle everywhere with my friend. But had to sell it away when I moved house in 2007 as no space to keep the bike. 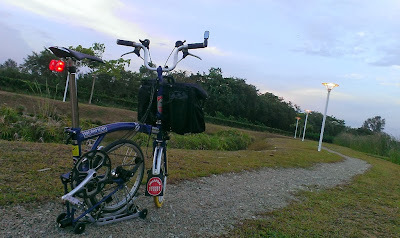 4 years later, in 2011, I started cycling again. 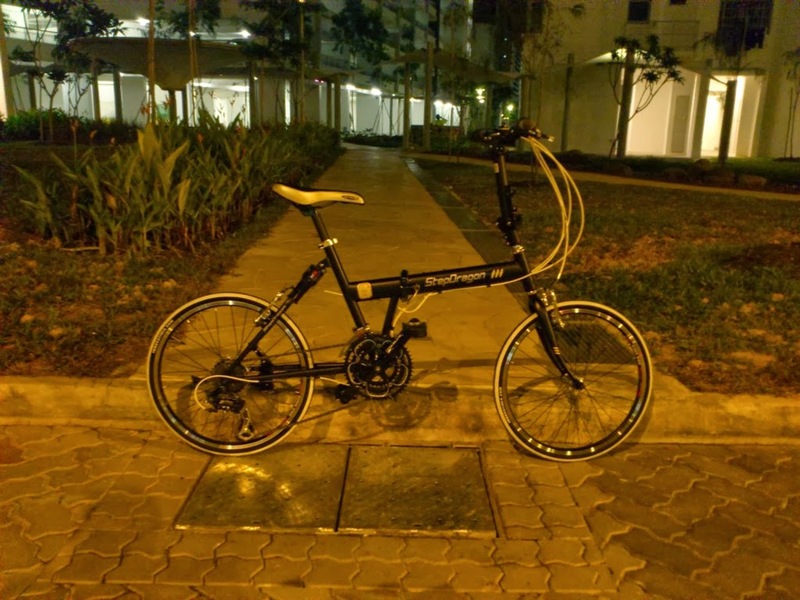 After moving to Punggol, I decided to get a foldable bike. Why? There's a great place to cycle just in our backyard - Punggol Waterway Park. And I need some form of exercise anyway. 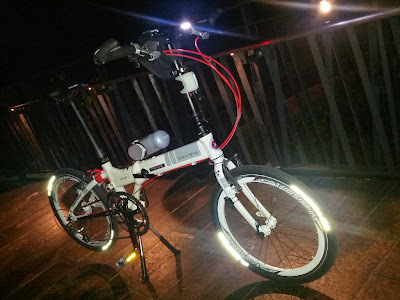 I wanted a foldable bike that I could keep in the storeroom as the kids are still young, do not want them to mess around and injure themselves on the exposed parts of the bike. Looked around and started off with a budget foldie (short form for a foldable bike) - StepDragon SS3, got it from a guy who imports them from Taiwan directly, hence, cheaper price as less markup costs. 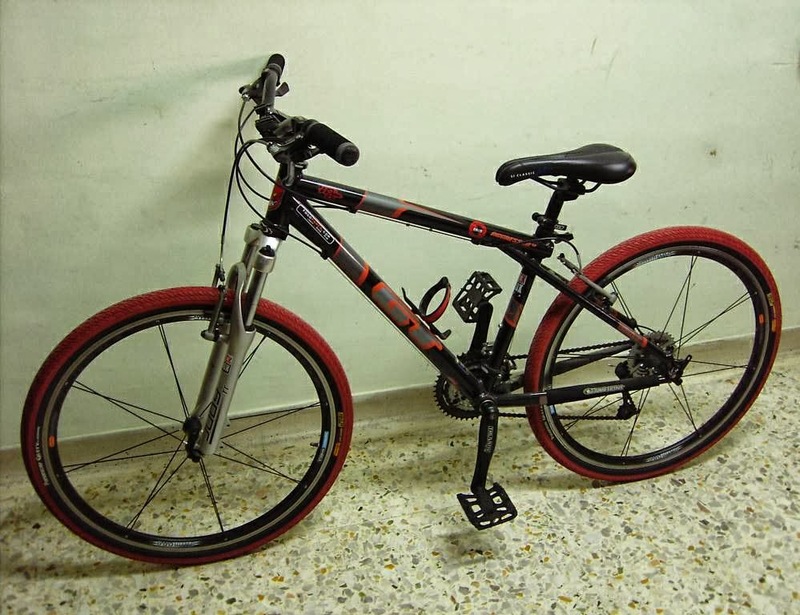 Joined LoveCycling SG (LCSG) and happened to see a post by Steve of Hands On Bike blog, comparing cheap bikes vs premium bikes, made me realise that 一分钱，一分货 (you get what you pay for), some things are cheaper for a reason, you just have to know what you are paying for. 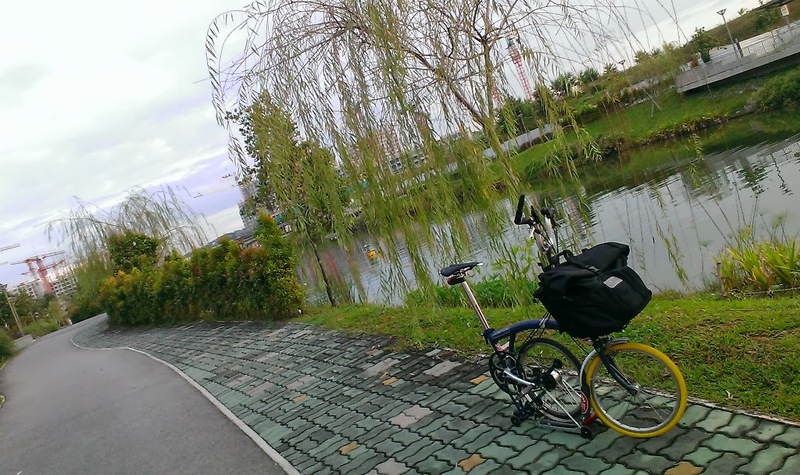 So I looked around again and upgraded to a Dahon Vitesse P16 (bought pre-owned from Togoparts) and started cycling in the park in the early morning hours and back home before the kids wake up, have a quick shower and off to work I go. 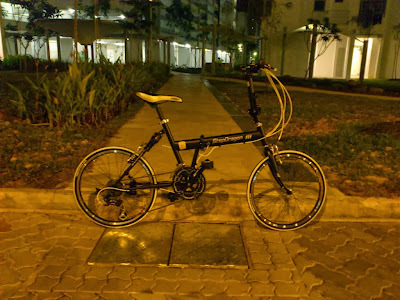 Sometime in March 2012, I went for a night ride with a fellow cyclist, Dean Tan and his wife, Grace, who are also staying in Punggol, after my kids are asleep. 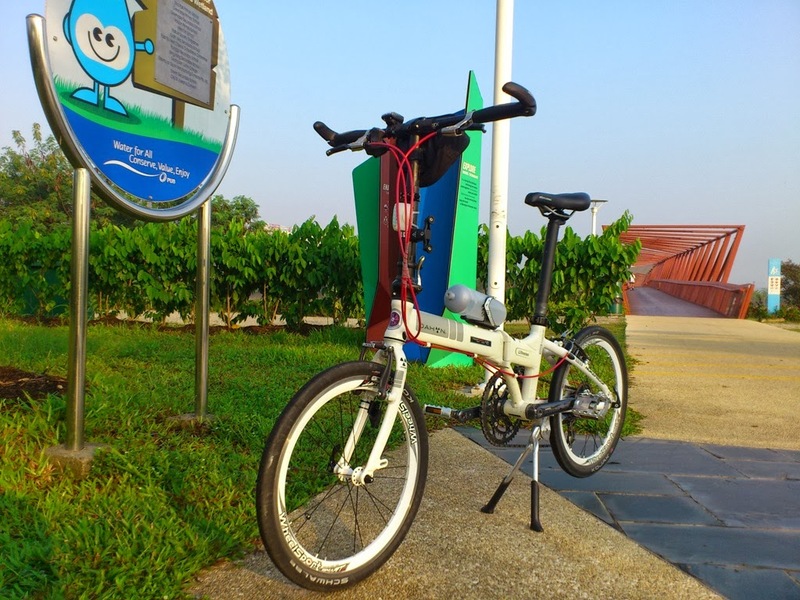 A couple of rides later with more and more cyclists joining, Punggol Night Riders (PNR) was founded as a FaceBook group, to make it easier for like-minded cyclists to organise rides and chit-chat about bicycle stuff, sharing lobang, etc. 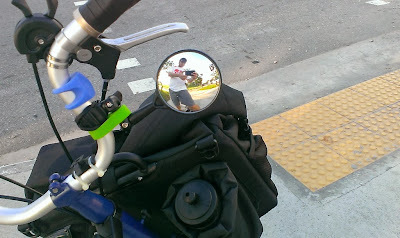 Ok, fast forward the next few months to August 2012, wife started to "feedback" that I cycle too often in the wee hours and sometimes, she have to wake up and help attend to the kids and this disturbed her sleep. You see, I used to do the night shift, taking care of the kids since they were babies. 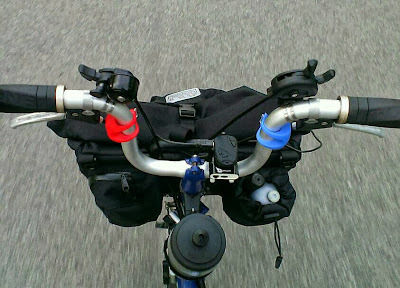 That got me thinking about cycling to work. At first, I was a bit apprehensive as I tend to sweat a lot when exercising. Finally, after reading all the "Cycling to work" posts by Taiwoon (co-founder of LCSG) of smallwheelsbigsmile blog, Noel Tan's and Jel's experiences convinced me to try it out and see how it goes. 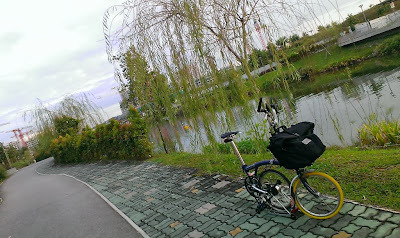 I started off with cycling to work from Monday to Thursday and on Friday (which is PNR night ride), I take the company bus to work, bringing in all my work attire for the next week. And this was how I started cycling to work. It has been slightly over a year ... 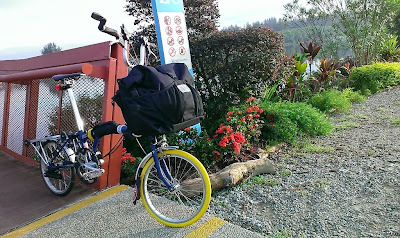 I do not cycle to work everyday, if it rains or I am tired, I take the train/bus. As Noel says "it's not an obligation to bike to work, sometimes when I'm tired I still take the bus." And Jel mentioned "... still deciding whether or not to cycle to work the trick is not to overthink it and just go for it. As the old saying goes “If there’s a will, there’s a way”." So I just did it! :) and enjoying it! If you are thinking about it, I hope this would inspire you to try it out. Will You Play Your Music? We once visited friends and sat outside where we watched paragliders and hang gliders soaring overhead, suspended from colorful wings. They rose up into the sky upon invisible warm currents of air and floated effortlessly by -- trusting in their equipment and their ability to keep them from crashing into the earth. But isn't that risky? Maybe a little. But what a thrill to experience! My son is a rock climber. Using toeholds and fingertip holds he makes his way up the shear face of a cliff. Though he fell once and broke his arm, he's back out there again. Why? Isn't that risky? Perhaps, but he likes the feeling of satisfaction of conquering the mountain and succeeding at a difficult endeavor. Of course, one doesn't have to participate in sports to experience risks. Just buy stocks and bonds. I've been told that October is one of the riskiest months to buy stocks. The other dangerous months are January, February, March, April, May, June, July, August, September, November and December. There is risk in all of life. But aren't some things worth it? Artist Vincent van Gogh put it this way: “The fishermen know that the sea is dangerous and the storm terrible, but they have never found these dangers sufficient reason for remaining ashore.” There are good and valid reasons to take necessary risks. In fact, I am sure we cannot experience a full life and shy away from all risk at the same time. We usually have a choice...we can choose to live boldly or we can choose fear. But be sure of this: the one we pick is all important. Especially when it comes to major life decisions. Deciding to pursue a compelling idea. Going back to school. Changing vocations. Marriage and family. Moving to a brand new location ... these can be chancy life choices. We can listen to our hearts, or we can decide not to take risks, not to do the scary thing and, perhaps, not to fully live. May Kay Ash, founder of Mary Kay Inc., once remarked, “Most people live and die with their music still unplayed. They never dare to try.” Is that true? If so, I think that is sad. Is it because most people are afraid? At the end of my life, I don't want to say I always played it safe, I want to say I played my music. I want to say I attempted to stretch my wings and jump. I want to believe I took reasonable risks at the right times. I have not always chosen the safest path. I've made my mistakes, plenty of them. I sometimes jump too soon and fail to appreciate the consequences. But I've learned something important along the way: I've learned to heed the call of my heart. I've learned that the safest path is not always the best path and I've learned that the voice of fear is not always to be trusted. I've also learned that, if I am to live my life to the fullest, I must not let my music die inside me. Will you just play it safe? Or will you play your music?